This may not look like a lot now, but this is the start of a very exciting year. This is about 20 tons of municipal compost, transported by me, by wheel barrow, for my new cutting patch. In a few months time this field will be full of beautiful English cut flowers-can you imagine??? So pleased with the response my cut flowers received in our farm shop last year, I decided to expand. Big time. 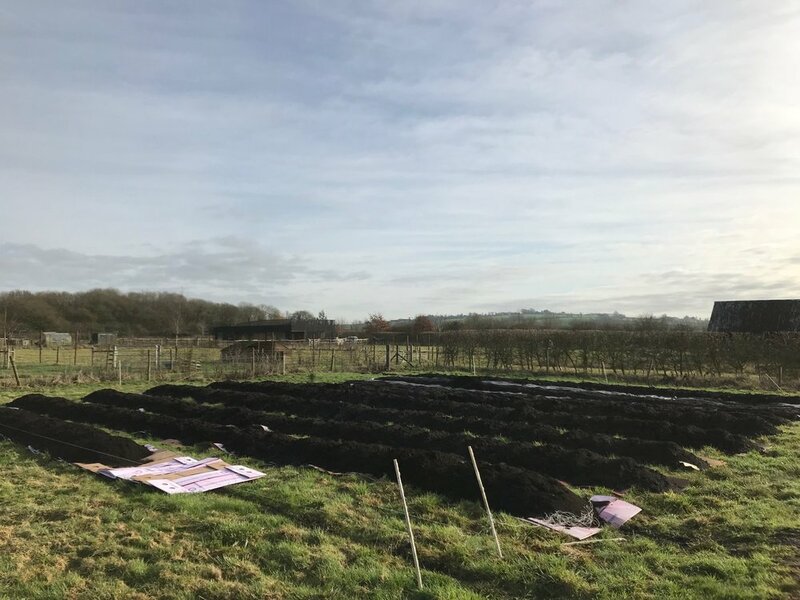 This field will be home to beautiful blooms grown in the fresh Buckinghamshire countryside, available for sale in my shop, for delivery, special occasions, or if you like, you can come cut your own. How special is that? No houses to be seen (except for my own), endless fields, cows, chickens, sheep, you and a field full of fresh flowers. It's pretty special. To be kind to nature and my land, I am experimenting with the no dig technique, inspired by the lovely people at Blooming Green. What you see is just the start, but basically I have added about 1 foot of compost on top of a thick layer of cardboard and then will line the spaces in-between with landscape matting. I then cover the unused beds during the winter. 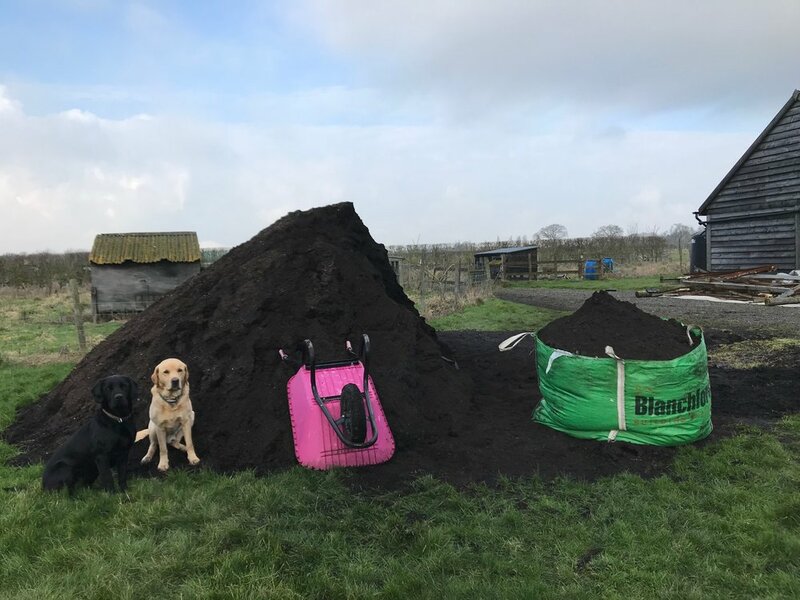 This means no nasty chemicals have to be used to prepare the soil for my fresh flowers, and I can keep weeding down to a minimum during the growing season. I'm really excited to offer something unique and I hope people will appreciate the time, love and care it has taken to make it happen. I'm looking forward to seeing what is successful, what isn't, and how I can expand again next year. And I sincerely look forward to sharing it with all of you.